Newby Teas, predominantly owned by a British registered charity, conducted an independent study to test their own product and to enlighten tea drinkers by focussing on community health and the welfare of society. They commissioned "Eurofins", a globally recognized laboratory, to conduct lab tests for fluorides at their laboratory in Wolverhampton, UK. 31 samples of teas from various popular international brands were tested to assess the fluoride levels in their teas. Out of the samples tested, 95% of Newby Teas were recorded to have the lowest fluoride levels from 0.25 - 0.35 mg of fluoride per cup of 200 ml. Tests further revealed some of the most known & premium tea brands consisted of up to 1.06 mg fluoride content per cup, which if consumed regularly, could severely compromise bone health, especially of children, women and elderly people. When Newby Team was questioned about how they maintain low fluoride levels, Mr. Nirmal Sethia, Founder of Newby Teas stated, "Matured tea leaves absorb the most fluoride. It is essential to use the first or second flush teas only. As the tea leaf matures over the time, the fluoride content increases." Sethia further added, "While the figures don't look too bad for someone drinking the occasional cup of tea, if several cups are consumed per day, this could have a significant negative effect on an individual's health. We will continue to monitor the situation for our product control and comparative reasons. While this is not compulsory by law, we believe it is our ethical duty to do so." 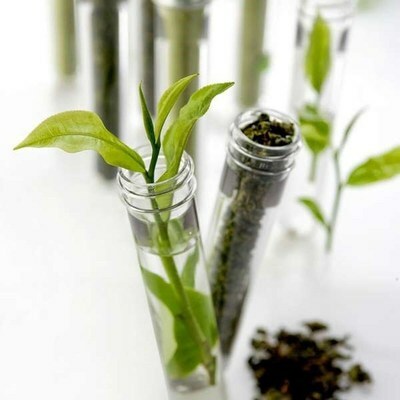 The tea plant (Camellia Sinensis) extracts fluoride from the soil which accumulates in its leaves. Tea is a rich source of fluoride, which is healthy in moderation. A report published by the University of Derby and the then HPA (Health Protection Agency) showed that some so-called economy teas, which are made from older leaves containing increased levels of fluoride, had dangerously high levels of fluoride, ranging up to 1.59 mg per cup. World Health Organisation (WHO) estimates the popular beverage, tea, can trigger risk of bone damage in its consumers due to its fluoride content. A daily consumption of over 4 mg for minors and 6 mg of fluoride for adults can cause deadly ailments such as skeletal fluorosis, osteoporosis, an overall deterioration of bone health, and other consequential illnesses. Newby Teas is the most awarded international brand in high-end luxury tea, with more than 150 tea championships to their credit. The company is committed to the preservation not only of the character of tea, but also its history, culture and art. At Newby, quality is the number one priority. That's why only the finest prime season teas are selected from known producers. Expert tasters sample thousands of grades and send them to master tea taster for selection. Only after their approval, teas will be procured and bear the Newby name. When founding Newby Teas, Mr. N. K. Sethia was determined to solve the problem of the negative impact on quality arising from poor and delayed handling. Newby's world-leading, unique preservation, storage, blending and packing facility in Kolkata was designed. After the purchase tea is promptly shipped direct to the facility for preservation, blending and sealing. The facility is strategically located in the middle of all the tea growing regions of the world, thus reducing transit time. Once at the facility, teas are packed in specially designed multi-layer packaging, ensuring that the tea inside arrives in the cup at its very best. The multi-functional protection keeps light, heat, moisture and odors at bay, all of which can adversely affect teas transported in less considered conditions.